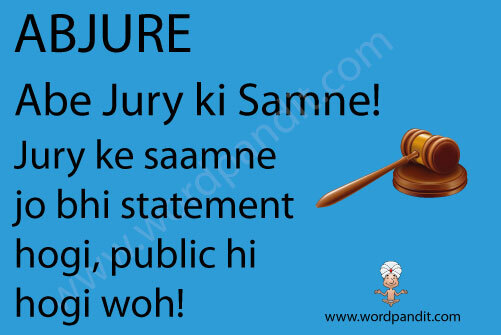 Courthouse mein JURY ke saamne jo statement doge, woh under OATH hi hoga na. Aise statements dena, under oath, where you give up something, inn actions ko abjure karna bolta hai. 1. To recant solemnly; renounce or repudiate. 2. To renounce under oath; forswear.